 Top 9 Wedding Cake Alternatives Ideas | Luxury Toronto Wedding Planner | Devoted to You Inc. Wedding Cakes are an iconic part of a wedding day. Traditionally, the cutting of a wedding cake symbolizes togetherness between the bride and groom. They would share one piece of the cake before distributing it to their guests as a symbol of two becoming one. It has also been interpreted as a promise both parties make to always provide for one another. While many people still partake in this tradition, some couples are opting for new and unique ideas that supplement or replace the wedding cake. Here are a few we’ve seen, as well as some suggestions if you’re thinking of heading in this direction. Who doesn’t love cupcakes? They’re essentially personal mini cakes that are cute as well as delicious. 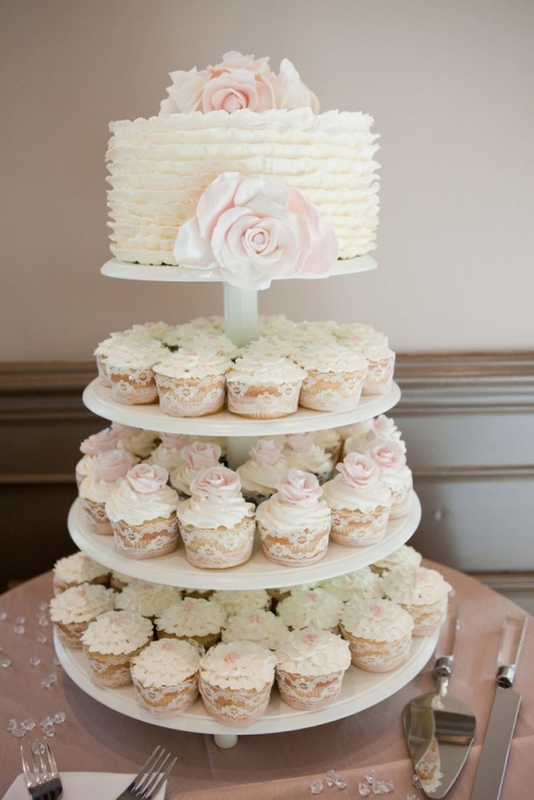 Some couples choose cupcakes instead of multiple tiers of wedding cake. This way, you can get the best of both worlds – still having a wedding cake as the top layer, with a modern flare of cupcakes. 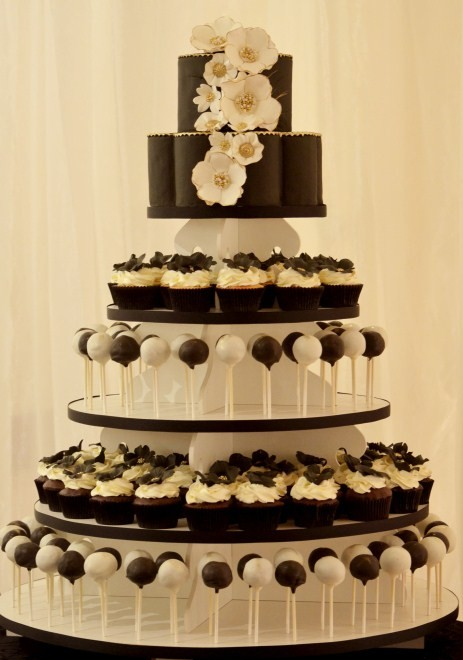 Much like the cupcake trend, cake pop wedding cakes are becoming popular. Cake pops are a quick and easy fix for guests that may not want a full cupcake or a piece of cake. If you’re considering an alternative wedding cake, this option is great for weddings that have children in attendance. Why not mix the two together for equal parts fun and delicious? This is great option to mix as it offers guests a choice between cupcakes and cake pops. It may also allow for more flavours and can incorporate themed colours very nicely. Macarons are a fun twist for any wedding, and they’re particularly useful for colourful and vibrant wedding themes. They provide a French element and offer a truly unique taste. Perfect for a beautiful summer wedding, ice cream cones are a refreshing alternative to the traditional wedding cake. It’s a great way to cool down on a hot summer night, and have fun too! 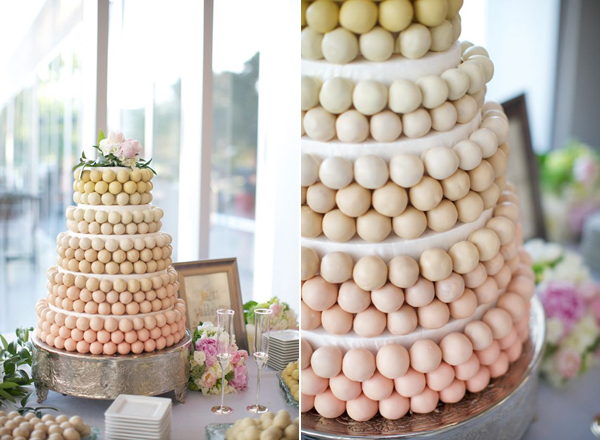 Another popular alternative for wedding cakes is a donut wall or tower. This option can also be combined with a top tier cake, and can have different flavours depending on the bride and groom’s taste. For a really different option, try a cake made of cheese wheels. Croquembouche is a traditional french wedding cake made up of cream puffs (called Choux in French) dressed with caramelized sugar. It is also a celebratory dessert that is often served at weddings, baptisms and first communions. The name croquembouche is translated as “crunch in the mouth”, meaning that the sugar is very crunch. Remember that any of these options can still incorporate a traditional wedding cake on the top tier, so you can still cut the cake if you wish to. Without the top tier as a cake, some of these alternatives may save money! This is because some venues charge a cake cutting fee. We look forward to more alternative wedding cakes this upcoming year!